New!!! GleanSLO’s Garden Signs for Homeowners! Thank you to 14 year old Sienna and her family, for designing, creating and donating 100 garden signs for homeowners who will contribute 150 pounds (or more) of produce from their home garden to GleanSLO!! The signs will be loaned to the homeowners to place in their front yard for the season they make a contribution, hoping it helps spread the word about our program, and that we happily receive homegrown produce. Pictured: Sienna who designed and created the GleanSLO signs. 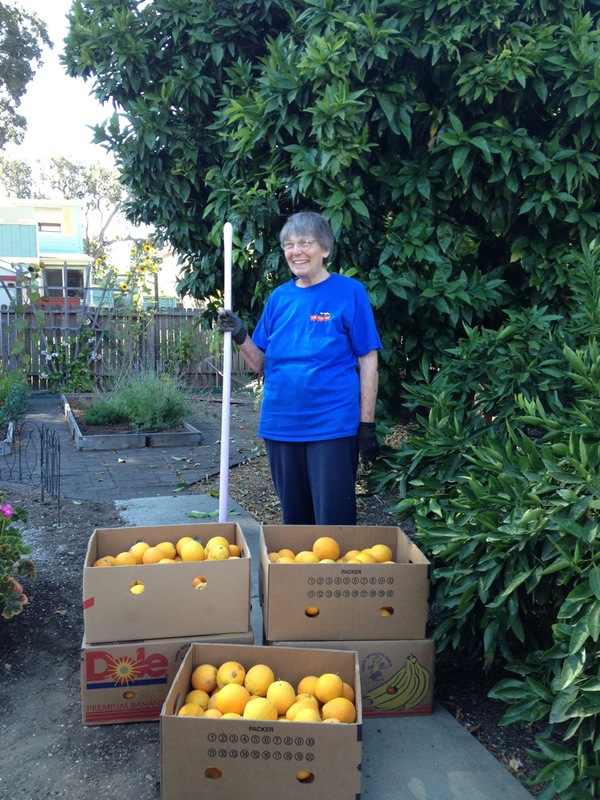 We’d also like to thank homeowner Barbara Wolcott who called the Food Bank and invited GleanSLO to harvest her backyard orange tree. Barbara was happy to have the first garden sign from Sienna featured on her front lawn! This entry was posted in Backyard Harvests, Donations! on 08/27/2013 by gleanslo. 100,000 pounds so far this year! 100,000 pounds– a new record! In 2009, I read an article about a Central Coast chapter of a national organization, Backyard Harvest. I contacted the director, Gail McNichols, who was interested in having someone take over the program. With the encouragement from Gail and the support from Amy Grey, (National Backyard Harvest Director), we moved forward with this idea. 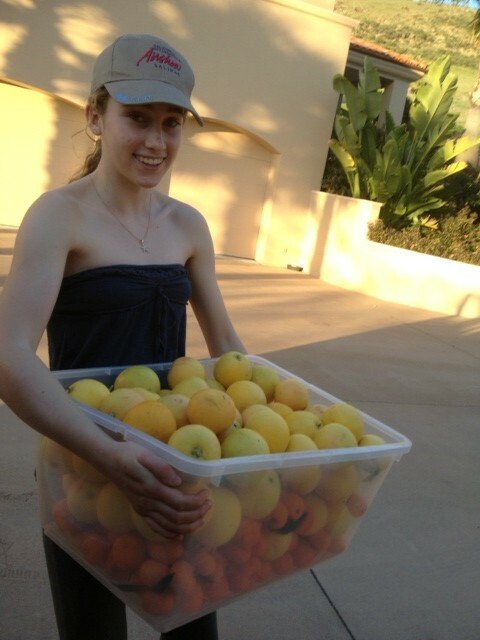 My husband Andy and I started gleaning by approaching neighbors who had fruit dropping to the ground. 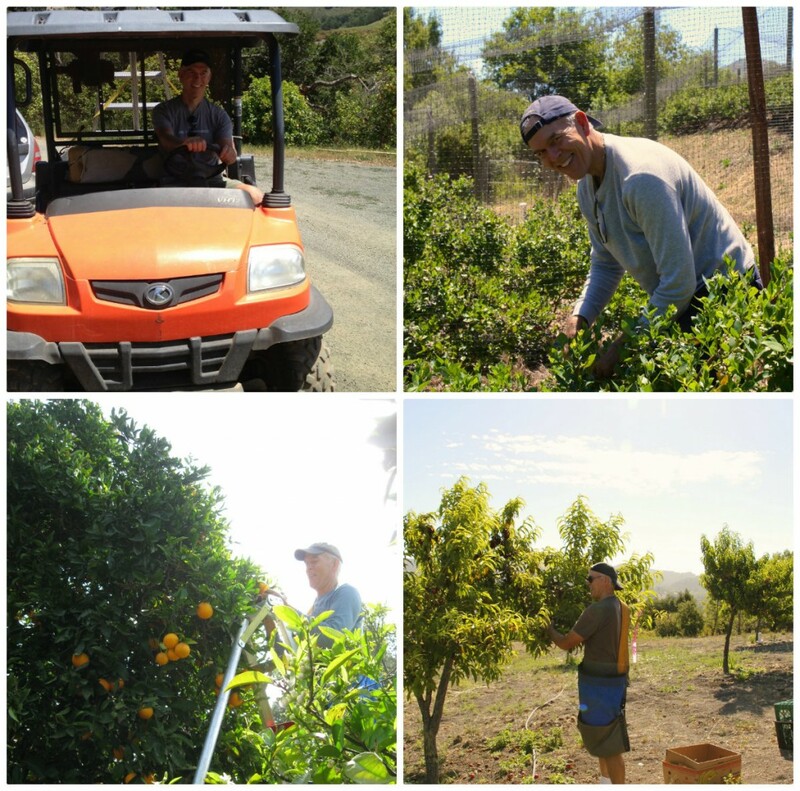 The homeowners were happy to have their fruit picked for donation. 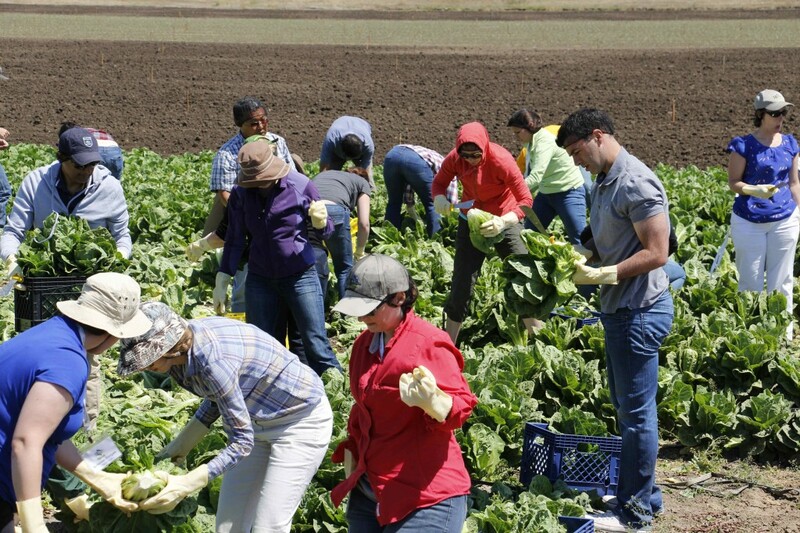 The work seemed easy and rewarding, and after much research and thought, a small group of us gathered together to talk about the vision of gleaning on a larger scale in the county. The Food Bank came forward as the lead agency, with the amazing vision and support from Executive Director, Carl Hansen. We formed a larger committee, got organized, and GleanSLO was officially created. 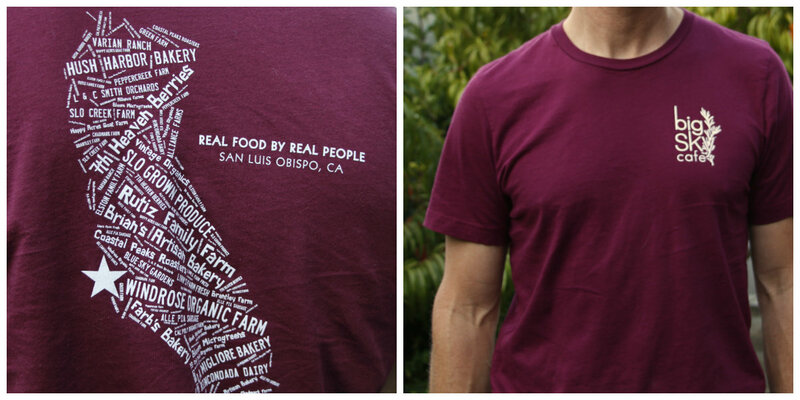 SLO Grown Kids, the non-profit that took over the existing Backyard Harvest chapter, hired Marjorie Collins Design to create the beautiful GleanSLO logo. Our committee believed that we had enough food around us and collectively we could make a difference helping feed people in our community. 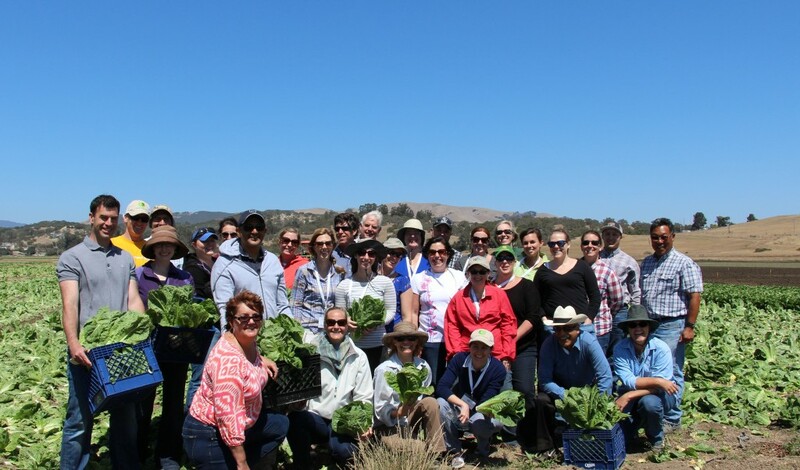 An early significant partner was Cal Poly’s SUSTAIN program with dedicated professors Linda Vanasupa and Liz Schlemer, and consultant Roger Burton. Additional important contributors such as Stephanie Teaford, whom we’ve highlighted in a previous newsletter, collaborated and brainstormed with the bigger picture in mind. We have many people to thank: Norma & Jim Cole, Jennifer Codron, Caroline Ginsberg, Pam Stein, Jim Patterson, Rob Coghill, Greg Ellis. We’ll feature many of these early contributors in future newsletters. We had many hurdles to overcome, challenges to discuss, but we knew it was possible. How? Through collaboration. With much gratitude for those early collaborators who shared this big vision, we are well on our way to being a program that many people know about in our county. 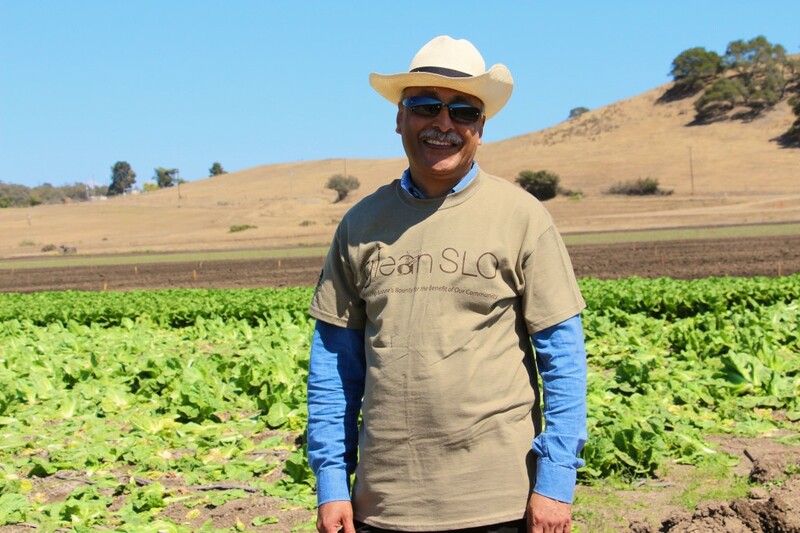 We hope that through GleanSLO’s success, more people will notice the abundance around us. We want gleaning to bring people together, neighbors getting to know each other over an abundant plum tree, volunteers meeting at a glean in a sweet corn field. That is how we have reached the milestone where we are today. Tree by tree, veggie by veggie, volunteer by volunteer, farmer by farmer. I remain humbled to be part of GleanSLO and to have helped create this program. With the community’s support, we have rescued over 260,000 pounds of food in total (to date). I never could have imagined that when we were standing in front of that first orange tree. Carolyn at peach orchard in See Canyon, 2012. This entry was posted in GleanSLO Interviews on 08/27/2013 by gleanslo. Pictured above: Volunteer Gleaner and GleanSLO driver, Chuck Asmus. Chuck has contributed countless hours to GleanSLO, driving the truck for us, organizing equipment and gleans, arriving with a smile and great attitude for each and every glean. We are so grateful we have the opportunity to work with Chuck and are happy to share his story and highlight his contributions. We truly could not do what we do at GleanSLO without him. GleanSLO: How did you find out about GleanSLO? Chuck: My wife Betsy and I were looking for something to do together. We saw a flyer for a beach clean up for Avila Beach. Being at the beach helping to clean up in some small way, what could be better? At the end of the clean up we were helping pack up with the organizer. One of the couples, Marv and Pet Daniels, gave us information of another volunteer group, GleanSLO. Marv even offered to pick me up on the way if I wanted to join them. What could be easier? No experience needed. Marv and Pet are consummate recruiters and they seem to be part of every local organization! 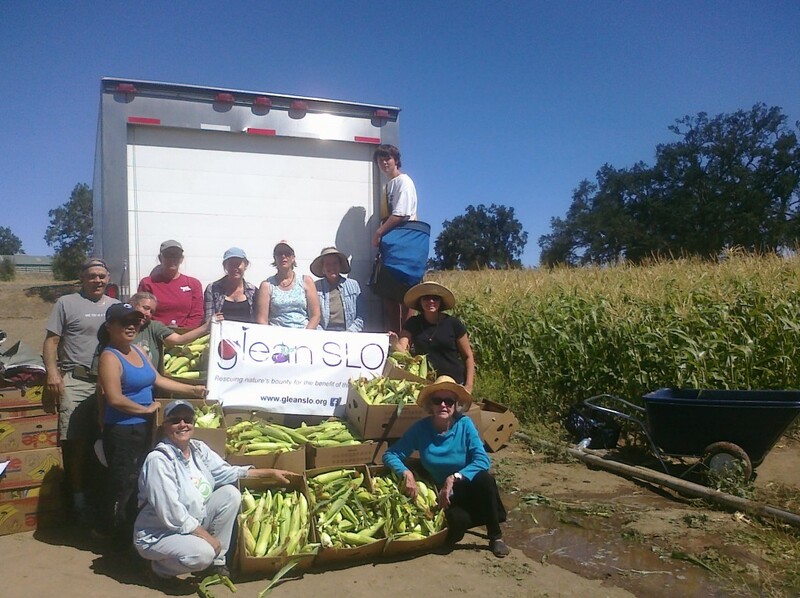 GleanSLO: What do you enjoy about gleaning? Chuck: Seeing other parts of the county and some of the larger properties is an adventure in itself. Several have great settings and nice views that are easy to fall in love with. At the end of each glean you get to look around, see what you have accomplished, shake hands, hug, pat on the back, with a bunch of selfless volunteers. They’re great people. 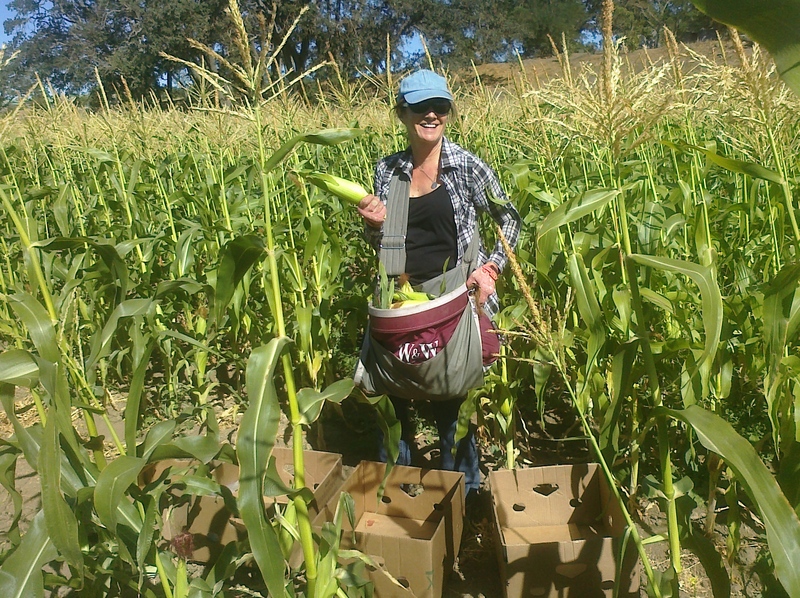 GleanSLO: Do you have a favorite gleaning story or memory to share? Chuck: You ask for memories! I have many, too many to write. Maybe it’s because I’ve been gleaning a few days a week and so many stories! One thing that stands out is when the owner is out there with us and it’s an extra chance to meet more people, Mike and Carol, Doug and Debbie, Stephine and Frank, Holger, Gary, just to name a few. GleanSLO: Thank you to Chuck for the countless hours he has contributed to our program. We cannot thank him enough, but we will keep on trying! This entry was posted in GleanSLO Interviews on 08/19/2013 by gleanslo. Tutti Frutti Farms and Veggie Rescue to the rescue! 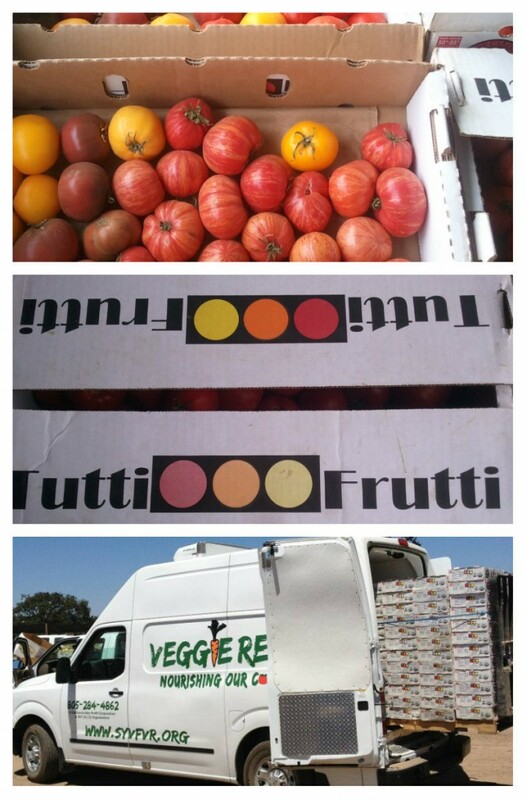 A HUGE thank you to Tutti Frutti Farms who donated heirloom tomatoes to Santa Ynez’s Veggie Rescue and who then turned around and donated 2,269 pounds of what they received to us. And Veggie Rescue even drove the donation and delivered to our Oceano Food Bank warehouse in their wonderful van! Jeanine Lacore and Carolyn Eicher, GleanSLO Coordinators, had the opportunity to meet Terry Delaney from Veggie Rescue when we attended a gleaning conference in San Jose this year. This work is all about community and helping each other! We just got notice that there is another state-wide gleaning conference to be held in November 2013, and we look forward to more connections to be made and friendships formed. We love this work! This entry was posted in Donations!, Farm Harvests on 08/17/2013 by gleanslo. Every type of harvest is welcome! Every harvest, big or small is welcome! 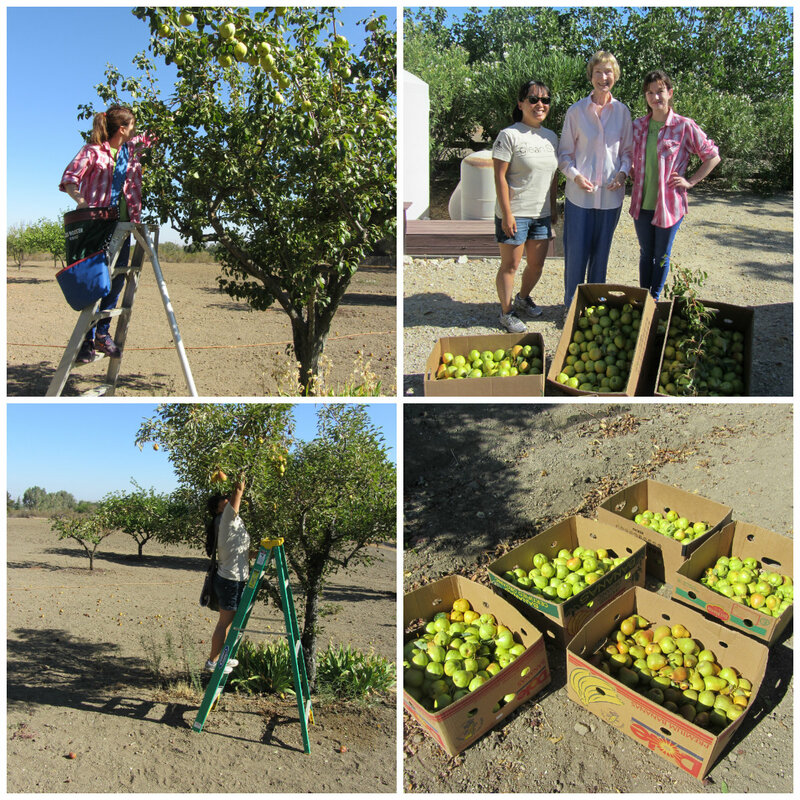 This week GleanSLO had the pleasure of harvesting Bosc, Asian and Bartlett pears at the home of Anne Antoon in North County. 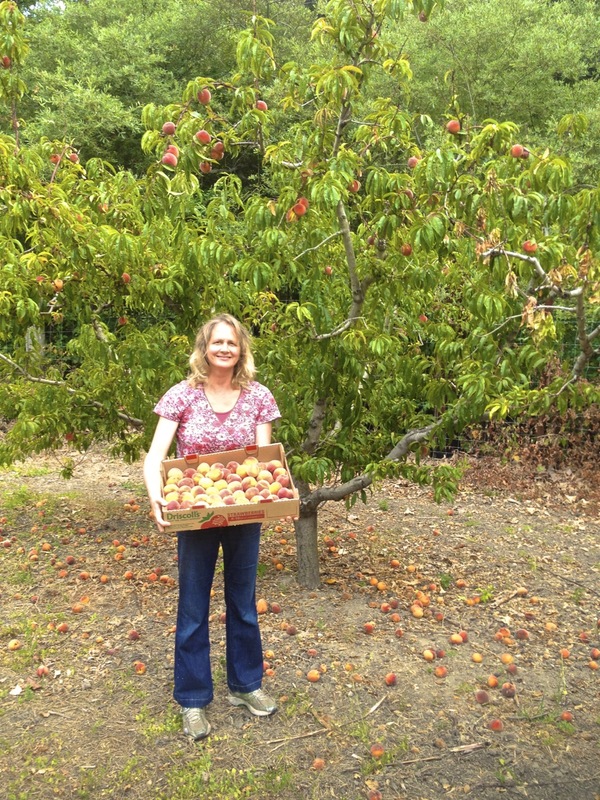 She generously offered her 3 pear trees and 185 lbs of pears were gleaned from them. 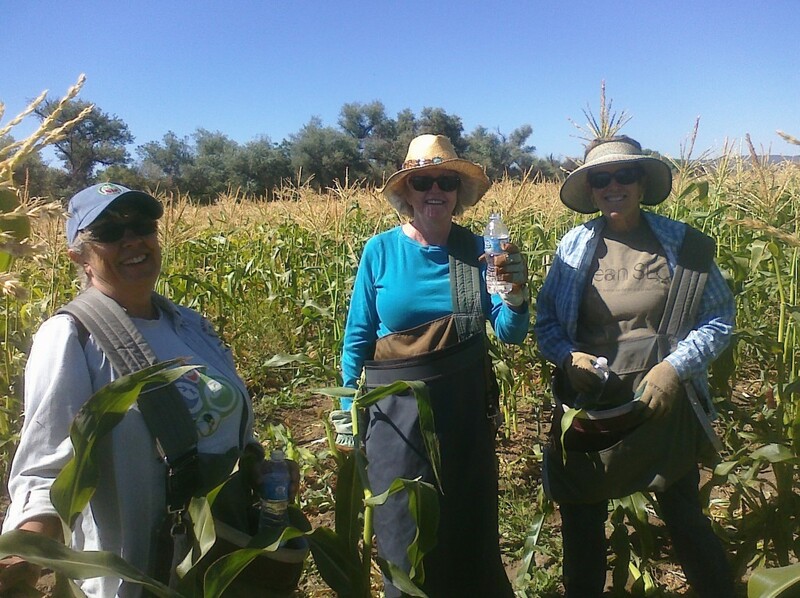 Thank you to volunteers, Heather, Gail and Jordan who coordinated a last minute harvest and who were luckily able to finish before the 100 degree weather kicked in!! 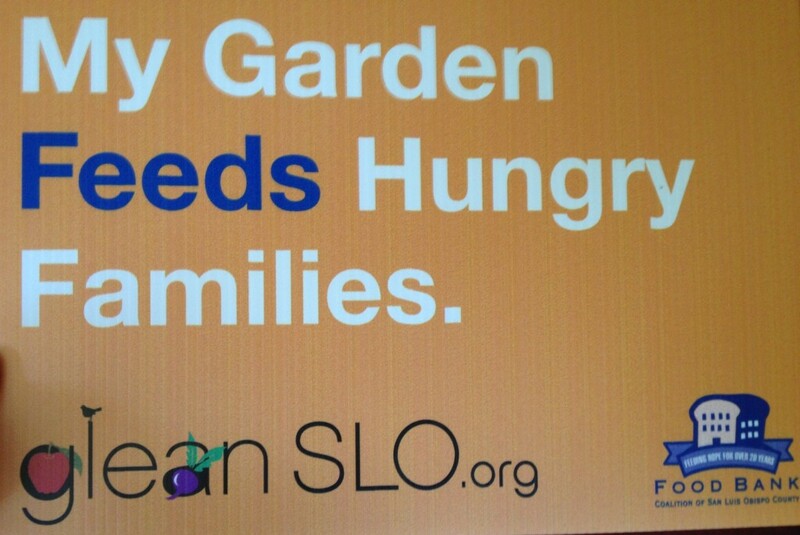 We would love to help you, or anyone you know, to harvest for a GleanSLO donation. This entry was posted in Backyard Harvests on 08/15/2013 by gleanslo. Yesterday, GleanSLO had an opportunity to work with a visiting group from the Washington DC Exchange Fellowship Program from the California Agricultural Leadership Foundation. Thank you to grower Tom Ikeda and Ikeda Brothers, Dan Sutton, General Manager of POVE, and this wonderful group who gleaned 549 pounds of beautiful romaine lettuce! Through gleaning, we become friends with farmers, learn about the variety of crops grown around our county, meet all kinds of groups and amazing people, and drive away each time with more food in the Food Bank truck than what we started with! This entry was posted in Farm Harvests on 08/11/2013 by gleanslo. GleanSLO on KCBX Public Radio! Sending a shout-out to Charles Myers from Big Sky Cafe who for many years has purchased produce from local farmers for his restaurant. And we love his new t-shirts! Charles helped get the word out about GleanSLO when he interviewed us back in December 2011 on KCBX. Tomorrow (8/8/13) on KCBX Public Radio (90.1 in SLO), from 1-2 pm, Central Coast Voices will be talking with Carl Hansen, Wendy Lewis, and Chris Aho from the Food Bank Coalition. Listen in tomorrow so you can hear how GleanSLO has grown since this initial interview with Charles! This entry was posted in GleanSLO Interviews on 08/08/2013 by gleanslo. 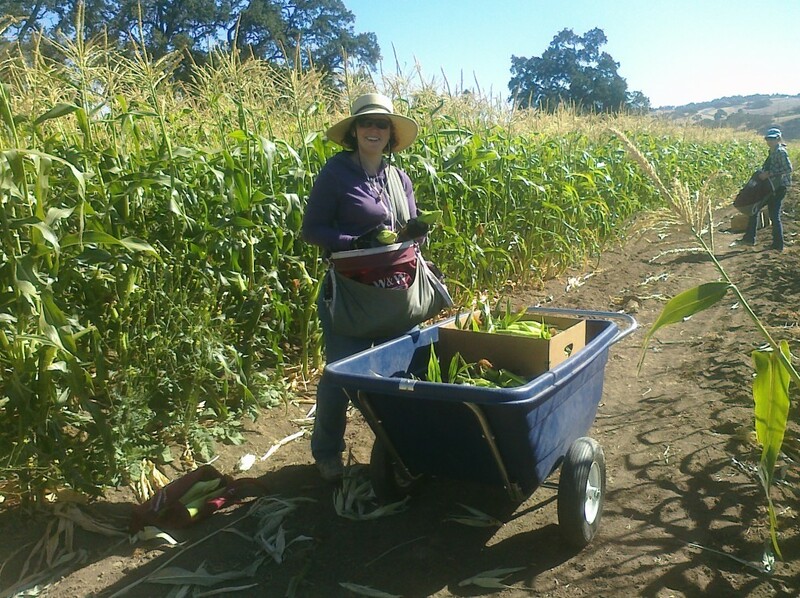 Last Thursday we had 7 new volunteers show up to help us glean sweet corn in Templeton. Thank you again to farmer Steve Lechuga for the generous donation. We have another harvest scheduled for Tuesday, August 6th with a few spots left.New volunteers welcome!! Will you be one of those fresh faces in the field? Register as a volunteer on our website if you haven’t done so already! This entry was posted in Farm Harvests on 08/06/2013 by gleanslo.